Quality Assurance - Associated Cleaning Services, Inc.
Quality Assurance Inspector performs all duties of a janitor with greater efficiency and quality plus any other duty not specified but requested by their Operations Manager. 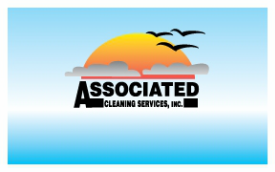 At Associated Cleaning our QAI’s are very important, they are responsible for ensuring quality is up and correcting what must be corrected before the customer sees it, they are our eyes when we may not be able to be at the account, and they are part of the third line in successfully completing a service. Often a QAI will go and work a position for or with a janitor and provide feedback and if need corrective action on deficient items. QAI's who perform well and can easily work with others tend to move on to Supervisors or one of the Tech fields like Hard Floor Tech.